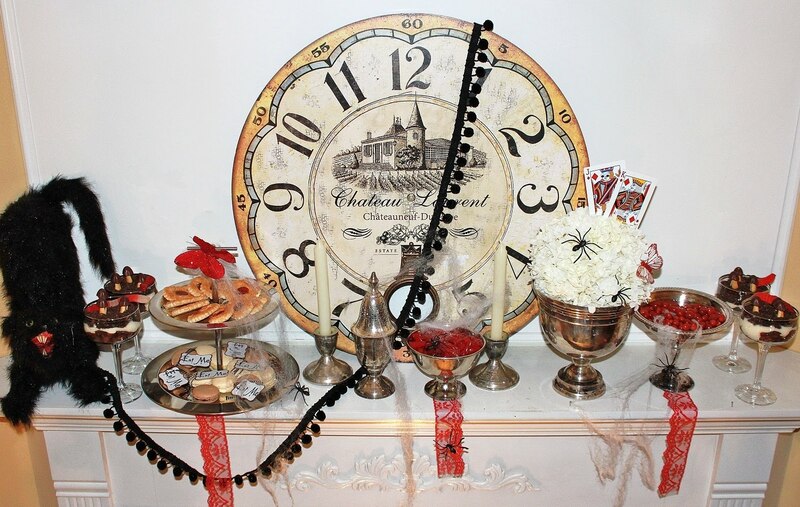 Halloween is all about creativity -- from the spiderwebs to the skeletons to the icky rats and mice, there are no rules, just fun! And I love seeing all the creativity other party planners put into their Halloween tables. Just look at this amazing Mad Hatter Halloween Party from Chris at Celebrations at Home. 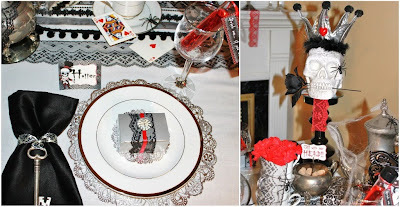 Chris said the idea just popped in her head to take the super-creative Mad Hatter theme and combine it with Halloween -- the best of both worlds, in my opinion! 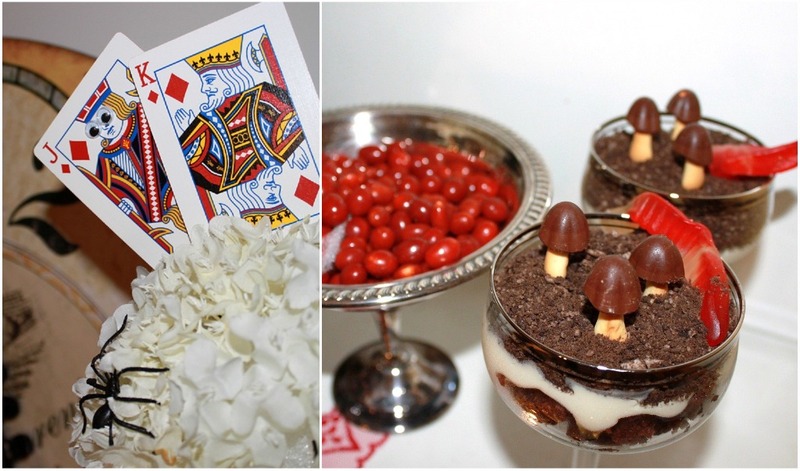 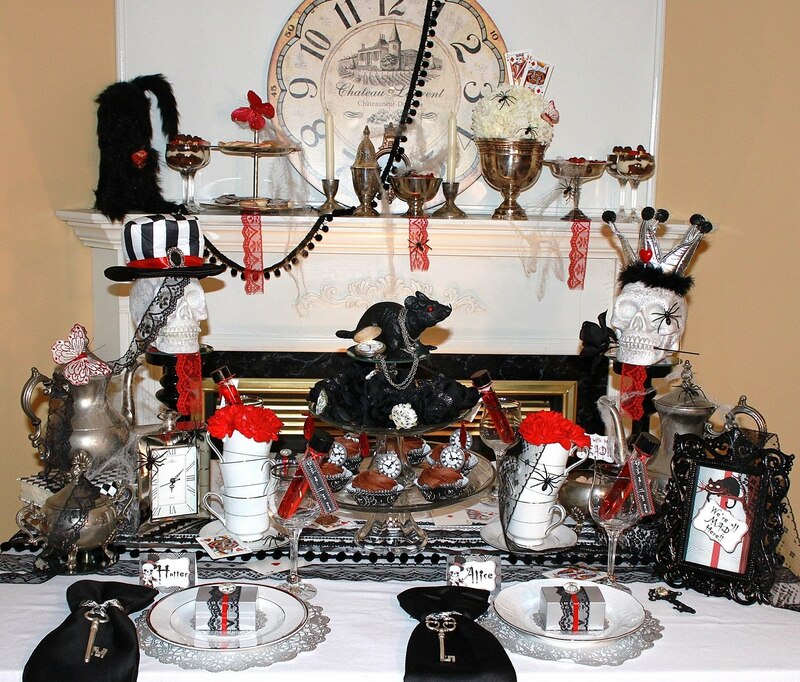 Chris incorporated all the usual Mad Hatter props like clocks, playing cards, mushrooms and of course, the tea party and gave it all a spooky Halloween twist. Don't you love the googley eyes on the playing cards. And how about those mushroom candies "growing" on top of the parfait. She even included that infamous caterpillar. 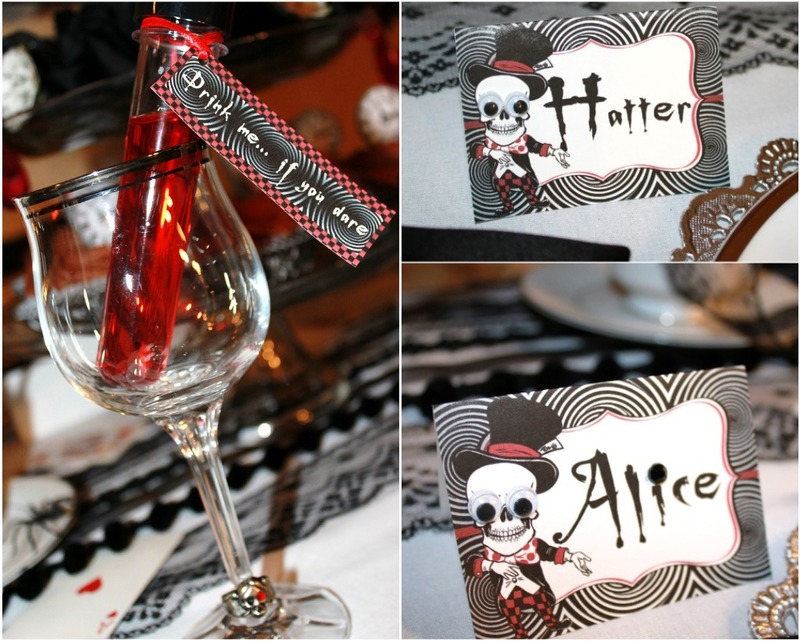 Love that cranberry and vodka shooter in a test tube! 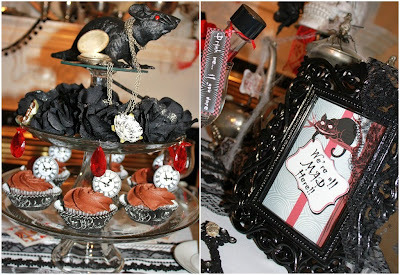 The Mad Hatter door mouse is now an ugly old rat and the Cheshire Cat is a spooky black cat. 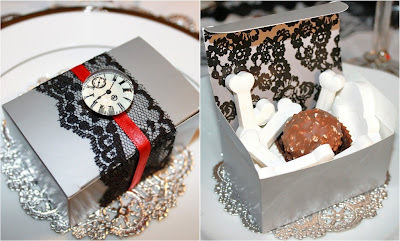 The guests favor boxes are full of bones. 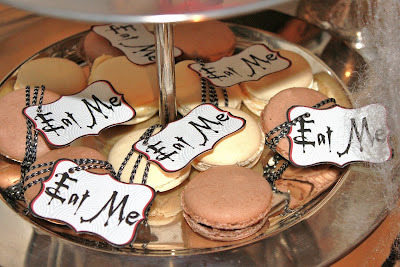 And that white rabbit, well Chris says, "He didn't quite make it on time." Fabulous, don't you think? If you'd like to see more of Chris' amazing creativity and maybe have her inspire you to have your own Mad Hatter Halloween Tea Party, go to her blog Celebrations at Home.